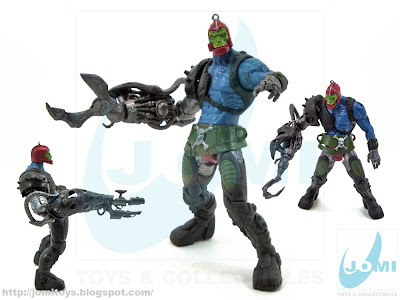 Evil Mechanical Menace, TrapJaw or Trap Jaw is probably one of "MOTU" fans favorite. 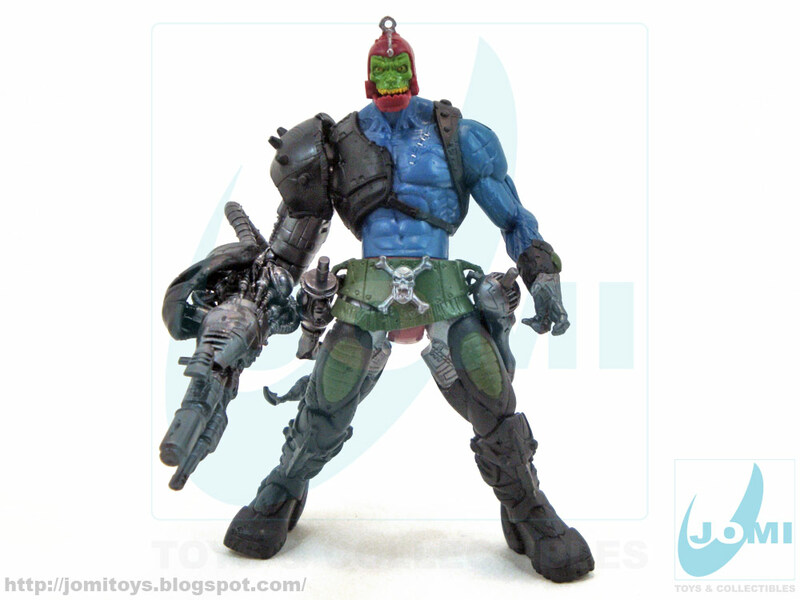 One of Skeletor´s henchmen and cyborg weapons specialist for the Evil Warriors. 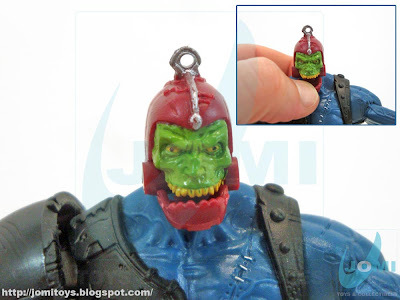 Trap Jaw (real name, Kronis), whose mechanical jaw can bite through anything. 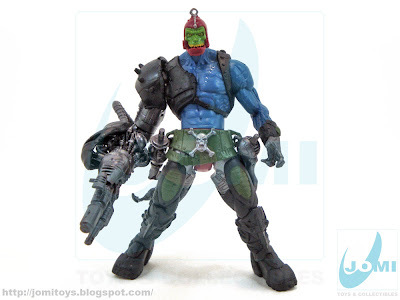 Great 2002 remake by Four Horsemen Toy Studio. Distribution still in charge of Mattel, obviously. They wouldn´t give up one of their aces, Masters Of The Universe. Great sculpting, great colors. A more "sci-fi" and even modern look and view of this iconic villain. 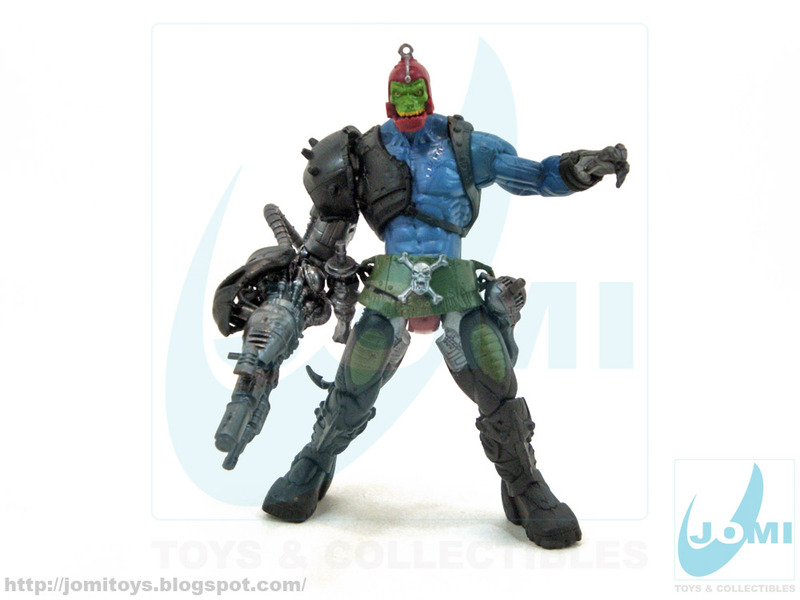 Based on the (then) new, He-Man and the Masters of the Universe animated television series. Mechanical Jaw has a spring built into it, so when you move it down, it bites back up! Figure´s face is very well done, from eye expression to the way the cyborg elements mix. No knee or feet articulation. Other than that, awesome! 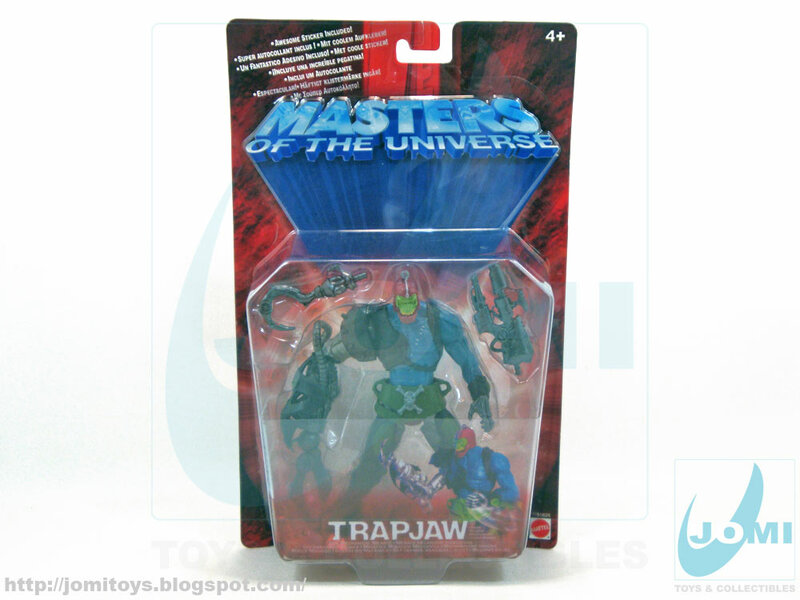 Just like the figure´s Jaw, his mechanical arm is also equipped with a spring, so when you pull it down, it goes back up in a "draw" motion. The mechanical arm is a work of art for such a figure. A very good job as pretty much all of these 200X "He-Man" figures. 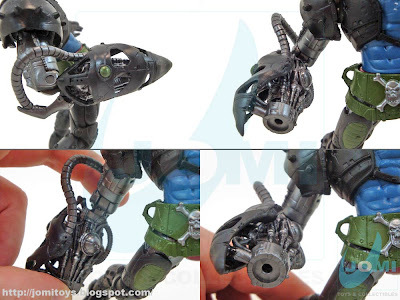 Mechanical arm attachments: Claw, Laser Pistol... and of course, the Combat Hook! 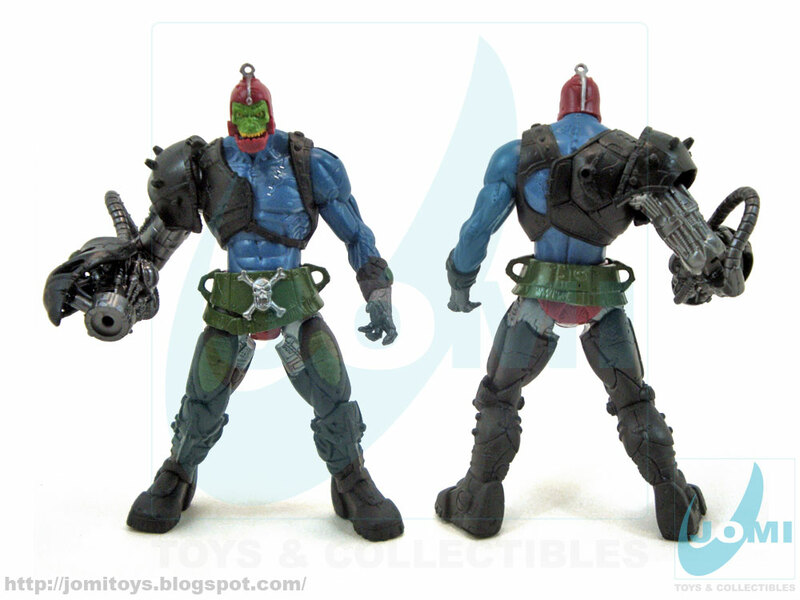 When not in use, you can hang 2 attachments on its belt (just like the original vintage figure). Also, one can be used on its back like a backpack.